Natura Siberica Shower Gel Firming Skin Anti-Stress gives skin elasticity, nourishing it with valuable oils and vitamins. The subtle floral and berry aroma helps to relieve stress and awaken the reserve energy of your body. 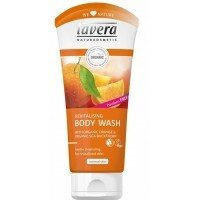 Lavera Silky Shower Cream with Organic Almond Milk & Honey gently cleanses your skin leavin..
Lavera Orange Revitalising Body Wash gently cleanses your skin. Organic Sea Buckthorn Extract keeps ..
Natura Siberica Shower Gel Firming Skin Anti-Stress gives skin elasticity, nourishing it with valuab..
Natura Siberica Tonic Shower Gel tones, makes your skin feel clean and fresh. 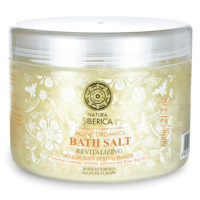 Amplifying gel formula..
Natura Siberica Revitalizing Bath Salts are enriched with extracts and oils of Wild Harvested Siberi..
Natura Siberica Alladale Moisturizing Shower Gel contains Organic Thistle and Wild Organic Siberian ..